Beyond the Standard Sports and Games. How Can We Make Being Active More Fun? Different year, same news – the concern about our ever-growing waistlines continues. We all need to be active, but we also need to enjoy ourselves. So ideas for unusual sports and games are always welcome, whatever our age and level of fitness. What is available to make activity more fun? There’s no doubt that the only way to ensure that we maintain a healthy level of activity is to find a sport, game or pastime that we really enjoy. Small children never get bored with running, jumping and climbing –in fact the challenge for parents is often to stop them before they do something too dangerous. Toddlers and primary age don’t have to be persuaded to move around, and if we could keep that level of enthusiasm we would all be much fitter. Unfortunately as we get older we start gaining inhibitions and other interests, and the urge to dash about fades. While we can’t spend our whole lives in the playground, everyone needs to keep active. The question is – how can activity be fun rather than a chore? With so much out there, everyone is spoilt for choice. If you haven’t exercised in ages, a great place to start is your local gym or leisure centre. If you haven’t been to a gym for a while you are probably in for a pleasant surprise, because most are now bright and welcoming places where the staff are all eager to help you. However the nicest people and the cleanest changing rooms in the world can only do so much. It is essential that you enjoy the exercise – after all, that is the reason that you joined in the first place. So don’t be afraid to ask questions and take up offers of trial classes. You need to be sure that you are signing up for what is right for you. Fortunately we live in a country with huge opportunities for us to get active. Here are just some ideas for everyone, whatever their age. Why not try something different? Cycling: there are on-going initiatives to create cycle parks and safe cycle routes in towns and cities. Now is a great time to buy a bicycle because the Christmas rush is over, and there are good deals to be done. Cycling is transport and exercise combined, and should suit the whole family. Free running: defined as the ‘art of expression through motion’, this is also known as ‘parkour’ and is the urban workout that takes you over obstacles rather than just around them. It is not just confined to super-athletes; there are classes and sessions available in most cities. Dinghy sailing: you don’t need to be near the coast to get on the water, because the UK has many reservoirs, rivers and lakes that host sailing clubs. The sport is not expensive to start, as most clubs have boats that new members can use and offer the training needed to learn to sail. 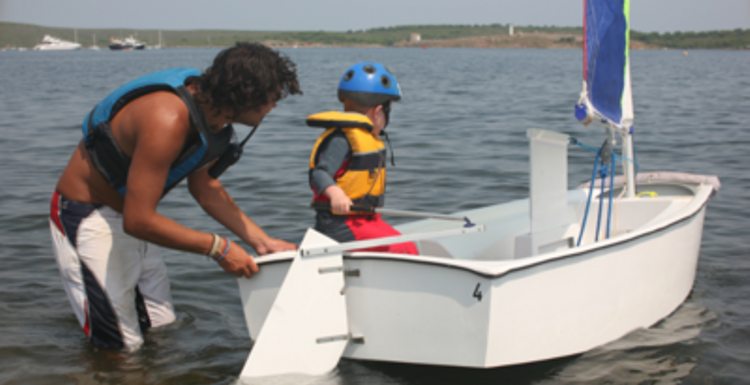 Children can begin sailing their own boat from eight years old, and it is also a very accessible sport for adults. Sailing between April and September in the UK needs no specialist clothing or equipment for beginners, just a willingness to get wet, a change of clothes and basic swimming ability. It gets you out in the fresh air, enjoying the fun of a cruise or a race and the well-deserved social drink and snack afterwards. Geocaching: turning a walk into a treasure hunt, this world-wide game took off when the United States gave everyone accurate access to the data from the global positioning satellites (GPS) system. With a smartphone or a GPS receiver, anyone can enjoy a walk while looking for the geocaches, and of course everyone is welcome to hide their own. Orienteering is the older cousin of geocaching, taking a lower tech approach and adding a race element. Participants follow clues from one way point to another, using a map and a compass. Courses usually offer a choice of terrain, and timings are adjusted for different ages and fitness levels. Badminton: many find that tennis requires too much strength, but would still like to try a racquet sport. Badminton fits the bill perfectly, with its lightweight shuttlecock and easier-to handle racquet, it is perfect for those who struggle with tennis. Make no mistake, it is still a ‘real’ game requiring tactics and co-ordination, but it will give players of all standards a fun session while still getting the heart rate up. Dancing: from ballroom to line dancing, movement to music is suitable for all ages and comes in many different forms for all tastes. There are faster events such as ceroc (jazz dance) and zumba, and also slower dances for those who are older or less fit. There are so many different ways to get active and to stay active. The only difficult bit is making the choice!